We can assist you with Life Insurance Approval with Diabetes! We know it can be frustrating searching for a life insurance policy with a history of Diabetes. Luckily, you’ve come to the right place. At High Risk Life Insurance Agency, we specialize in “high risk” life insurance. Can People Who Have Diabetes Be Approved for Life Insurance? Yes, most individuals with Diabetes will be able to qualify for traditional life insurance, the type of insurance which requires a medical exam. Best Case Scenario – The best case for Diabetes will be late onset at the age of 50 and above. There should also be good control of blood sugar using oral anti-diabetic medications without the need for insulin, and lastly, there are no complications like heart or kidney problems. Most of these cases get a “Standard” rating. For cases, however, that are diagnosed at the age of 46 and above and where there are diagnostic findings of mild damage to the kidneys or eyes may still qualify for a “Mild Substandard” rating. Moderate Case – Those cases that have been diagnosed at 46 and above, but presents progression of complications to the heart or kidneys may be rated at “Medium Substandard”. These complications, however, may still be slowed down through healthy lifestyle and effective medical management. Other cases that may be rated at “Medium Substandard” are those that have been diagnosed early in life between ages 31 to 45. Since the symptoms of uncontrolled blood sugar level presented very early in life it may be a sign of speedy progression of the disease. Click here for a quote at “Medium Substandard”. Severe Case – A case of Diabetes is one that is diagnosed before the age of 31, these will definitely get a “Severe Substandard” rating for it is likely that over the course of time more serious complications can occur such as kidney or heart failure. The best approval you may obtain for this is at a “severe Click here for a quote at “severe substandard”. At what age was your Diabetes diagnosed? Your age alone at the time of the diagnosis of Diabetes will tell your health class. Onset before the age of 31 is an automatic “Severe Substandard,” diagnosis between the ages 31 to 46 may be rated at “Mild Substandard” or “Medium Substandard” and those diagnosed at age 50 and above may have the best rating at “Standard” health class. These ratings, however, need to have diagnostic and clinical symptoms correlation. The use of oral anti-diabetic medications as the sole means to control blood sugar is good and may get you a rating at “Standard,” provided that the blood sugar readings will be consistently within the controlled level. If you are taking insulin regularly or as an emergency measure to lower down blood sugar, you may have to be evaluated further by a doctor to determine the appropriate health class. Regular visits to your endocrinologist may be a sign of control and compliance that may get you a “Mild Substandard” or “Medium Substandard” rating as long as it is confirmed by a controlled blood sugar levels. Blood sugar level that is not fluctuating for the last six months is a good sign of control. Consideration of the age of onset and other symptoms may get a “Mild Substandard” or “Medium Substandard” rating. If you have kidney, heart or eye examinations that will show normal results will be a good basis for a good rating. 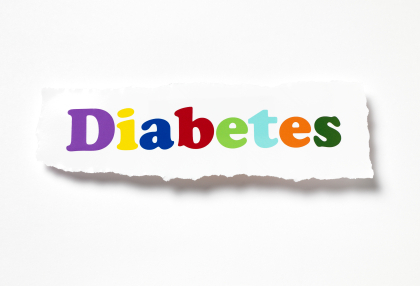 Common factors that cause Diabetes include genetics, lifestyle and environmental factors. These factors contribute to the abnormal insulin secretion of the body.